And then God showed me the book. I saw it laid out in the heavens—beginning, middle, end, inciting incident, anti-climax, climax, purpose, audience. I had known since I was able to write my name that one day I would be an author. I would write a book and not just any old book, but a book that mattered. I attribute my love of books to my mother. She read library books constantly. In the summers, when we weren’t in school, she’d take us to the library, deposit us in the children’s section and tell us to choose a book. In a matter of minutes, she’d come back with her arms loaded with the books she was taking home for the week and wonder why I hadn’t yet chosen my one book. Although she had some emotional issues with high highs and low lows, when she was reading a book, she was mesmerized. It was like David playing the harp for Saul. I wanted to affect people that same way. I wanted to take them away from their problems and issues. I wanted to help set them free, if even just for a few minutes. I thought I wanted to write fiction, but I found I loved true stories. I could quickly tell a good biography from a dull, just the facts Ma’am version. I liked the ones that were written like fiction, but were true stories. One day I would write a biography about an important person. I’d tell his or her story and it would make a difference in somebody’s life. I just knew it. I began writing for the school newspaper in junior high and later my high school and college newspapers, newsletters or anything anyone would let me write. I even wrote my own photocopied poetry books. After college, I loved writing features about people for newspapers and magazines. If I could tell how God had impacted their lives it was even better. Each person I interviewed I wondered, is this person’s story the one that will be my book? I asked that question often and always there was silence on the other end. I tried to make it happen. I’ve written halves of many books. I’d get to a point and I just couldn’t go any farther. So, I’d give up. And the doubts would settle in. Maybe I’m wrong. Maybe I’m not a writer after all. I tried harder. I wrote more stories. I began publishing a Christian newspaper and then a Christian parenting magazine. I did freelance writing. I wrote news releases and newsletters for non-for-profits. I was trying to gain God’s attention. I was trying to show Him I was worthy of being given an idea for a great book. I would pray again and there was always silence. In the meantime, I had gained a tremendous amount of weight. In the midst of trying to get God’s to do what I wanted Him to do for me, I had stopped listening to His voice. I also failed to notice the red light blinking on the instrument panel of my life, counting down the days left. Finally, I surrendered my willful indulgences to God and began to walk out His plan to rescue me from what could have been my early demise. The light turned from red to yellow to green. Maybe I would be around to write that book some day. That was early January 2013—the time when God tapped me on the shoulder and pushed me off the bench. 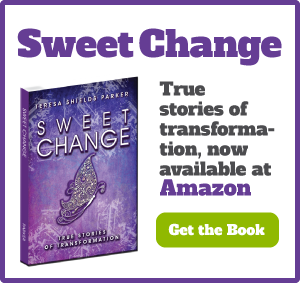 A book about me losing 250 pounds was never the book I dreamed of writing. 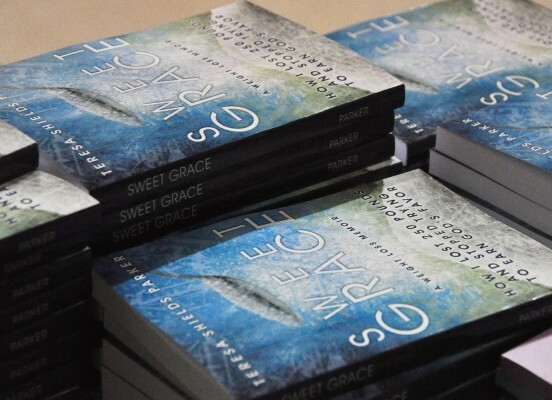 As a matter of fact, I was sure no one, but a few friends would read Sweet Grace. 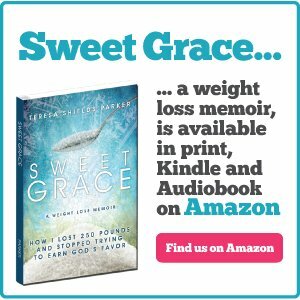 Released October, 20, 2013, by early January, 2014, just a year after God stirred that book inside me, it had become the #1 Christian Weight Loss Memoir on Amazon, a spot it still holds today. God had gifted me with all the skills I needed to write, edit, proof, publish, launch and promote my book. It took over three months for me to really get started writing, but once I began, the book was in my hands in a little over six months from when I started. I can’t begin to describe the feeling of seeing that book with my name on the cover. When people began asking me to sign it for them, I was floored. They really want me to sign the book? I thought only important authors were asked to do that. 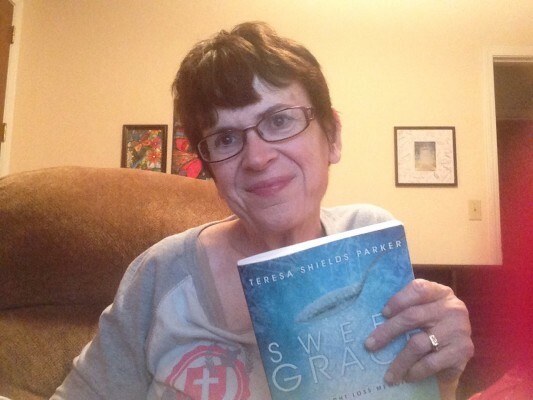 After Sweet Grace, I published Sweet Grace Study Guide and Sweet Change. 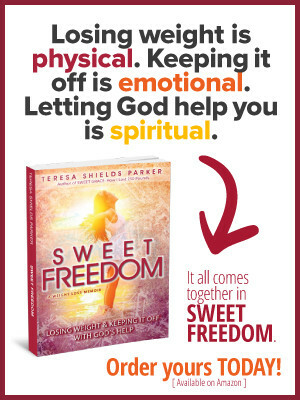 I’m currently working on the final book in the series, Sweet Freedom. It is like God opened the floodgates and books poured through. Topics, titles and ideas assault me at odd times of the day and night. If the author title wasn’t enough, God put me in television and radio talk show arenas. Then, He opened the doors for speaking and coaching. 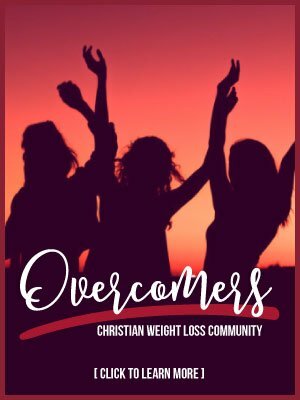 For a year I have been leading a weight loss coaching group. Then in June, He also opened doors to begin a real dream of mine to coach others and help them turn their ideas, stories and testimonies into books. The idea to open Write the Vision Coaching Group was born as I began doing coaching with individuals utilizing the Facebook platform. It’s an easy, accessible way to upload material, ask questions and give feedback. It’s also simple to add videos, assignments and action steps. 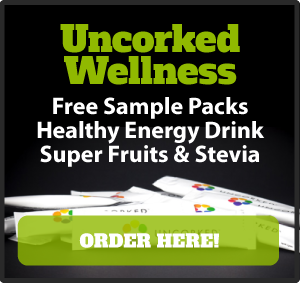 Now, I’m inviting you to join my first group that includes more than just you and me. Everyone has similar questions. We’ll all work on our own books. We’ll get them written and self-published in six months. Can you do it? I think you can and I will help you every step of the way. If you don’t have it finished, you will at least have a good start. The first group of any venture is always the least expensive. I know I’ll be doing other groups after this because it is my passion. Many groups I’ve been a part of have had price tags of $900 or more. One I checked out was priced at $3,000. I can’t fathom charging that. My group won’t be near that price and to make it even simpler, let’s do it with a recurring payment for six months—one most anyone can afford. The group is open right now. The first video will be posted in mid-August. You can post your introduction and begin asking questions as soon as you are added to the group. There will be information about how to upload anything you want feedback on. It’s time to begin. It’s time to write your book. “Write the vision. Make it plain so that those who read it, will run with it,” Habakkuk 2:2. For Write the Vision Coaching click HERE Don’t wait. Do it today. Only 20 spots available. Lucy, all the information is on the Write the Vision coaching page. 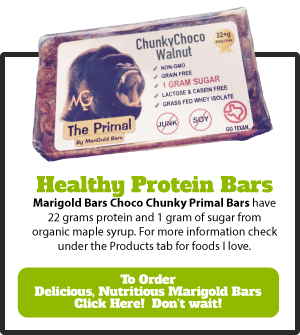 https://teresashieldsparker.com/write-the-vision/. All you need to do to join the coaching group is click the Get Started Now button and follow the prompts. If you have specific questions, send them to me at info@teresashieldsparker.com. I’d love to help you get your ideas into print.